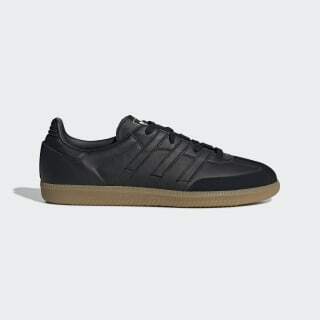 Samba sneakers with a full grain leather upper and repositioned 3-Stripes. Born on the pitch, the Samba is a timeless icon of street style. These shoes offer a premium version of the classic style. They're made of the finest quality full grain leather. For a fresh look, the 3-Stripes are placed slightly higher on the upper.